Anna has trained extensively in Mindfulness with prominent teachers, including Dr Patrizia Collard, Tessa Watt and the Oxford Mindfulness Centre, to become one of a handful of people qualified to teach nationally and internationally tried and tested programmes to children, adults and organisations. She has taught on open courses and on-site to almost 3500 people. She was a speaker at the 2018 and 2019 Mindful Living Show, Islington, and is frequently asked to be Keynote Speaker at Council Teacher Training events, such as Wandsworth WTSA, and School Inset events. Anna has used her extensive business and Mindfulness skills and knowledge to create a unique Mindfulness-Based Happy Life Coaching programme, working 1:1 with clients to achieve their aspirations. In 2017 Anna published 'Mindfulness Shuffle'; 50 Activities to help teachers and parents develop Emotional Literacy/Intelligence in children of all ages, published Findel LDA. 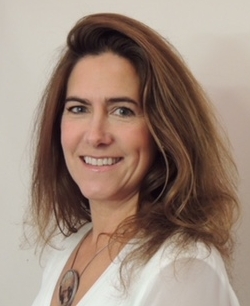 Before training to teach Mindfulness, Anna gained 20 years of experience in business in Management Development, Project Management and Coaching, working at companies including Arthur Andersen, Rabo Bank, Selfridges, Inter.Continental and Four Seasons Hotels. Finally, Anna, mother of 3, is a Parent Gym coach, delivering this 6 week Parenting programme designed by The Mind Gym in schools in South London.